Directors and studios rely on storyboards to tell stories visually through sketches. This process is natural to animation but it’s also crucial to the entire entertainment industry. Some board artists work freelance for movie studios that need quick boards to guide directors for live action movies. Other board artists work for animation studios like Disney or Pixar to help tell the story without detailed rendering. Either way storyboard artists are in high demand and if you’re good then you’ll get noticed. But getting good is the hardest part, although with the right learning materials you can learn a lot quicker. Take a peek at these storyboarding books and see if any of them can help you improve as an artist and maybe further your artistic career. This book has a lengthy title and it covers a lot of ground. Storyboarding is really nothing more than directing with visuals. This is used in live action or animation, and either way the process is very similar. 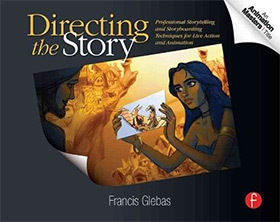 Directing the Story by Francis Glebas is one of the first books that all storyboard artists should own. It’s incredibly detailed and focuses on an agnostic approach to telling stories visually through accurate board work. Francis is a veteran Disney artist who has been storyboarding for well over a decade. He knows his way around the entertainment industry so his tips are worth paying attention to if you ever hope to break in. You won’t learn all the technical concepts behind writing great boards. However you will learn the bigger picture behind telling a story with visual cues and keeping people focused on the story without getting lost. Francis explains common pitfalls that trip up many board artists, and he offers advice on how to avoid these errors. This is undeniably one of the best books you can own on storyboarding. As long as you already know how to sketch you can take these lessons and radically improve your board work. If you’re looking for a more technical book then I’d recommend Storyboarding Essentials: SCAD Creative Essentials. This comes from Savannah College of Art and Design which is one of the most renowned entertainment art schools in the world. In 192 pages you’ll learn how storyboards are created and how they fit into the production pipeline. This book can take you from a complete novice to a fairly competent board artist in just a few weeks. But like everything you’ll need to put in the work. This book covers exercises for improving your draftsmanship and translation skills when reading a typed script and putting it into visual scenes. If you want to work as a professional board artist you’ll benefit from having a bit of writing ability. Many storyboard artists help with script revisions or even write smaller scripts themselves. 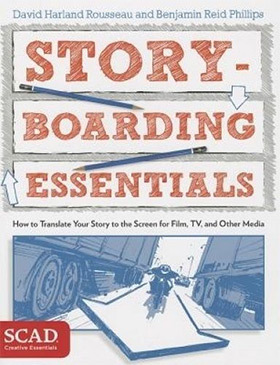 Storyboarding Essentials is one of the few books that teaches you how to board and how to write with meaning. In my opinion this is a must-have for anyone serious about storyboarding for a career. When I first bought this book I had no idea who Mark Simon was or anything about his work. But after skimming the first few chapters I was hooked and gained a whole new respect for Simon. He’s the founder of a storyboard studio where he works directly with producers for TV, movies, and commercial agencies. In his book Storyboards: Motion in Art he teaches you how to follow the same path and either break into the industry or work as a freelancer. You’ll learn how to properly storyboard traditionally and digitally. You’ll also learn how to network and gain clients, how to get your work out there, and how to charge properly for your work. Professional storyboard artists can pull 6 figures per year if they’re good. This industry is all about connections but you need to be good before you can turn those connections into business leads. I would unequivocally recommend grabbing Mark’s book regardless of your skill level. 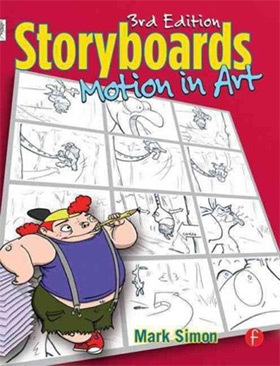 This is one of my favorite guides to the process of storyboarding and the author is not just some failed art teacher writing about storyboarding. He does this for a living and he’s someone you can trust. I first found this book as an intro to comics but it soon lead me into storyboarding. I didn’t expect to find so much information applicable to TV and movies but Framed Ink is a broad book with lots of great advice for entertainment artists. It’s only 128 pages so it is a quick read. But you get incredible tips for framing a shot, learning how to center characters and how to handle different scenes like dialogue or action sequences. This is a surprisingly technical book that teaches all the different directorial shots and poses. You’ll learn how to draw characters that fit their emotion and how to frame the scene to evoke that same emotion in the viewer. Yes this is primarily made for visual artists doing comics or graphic novels. 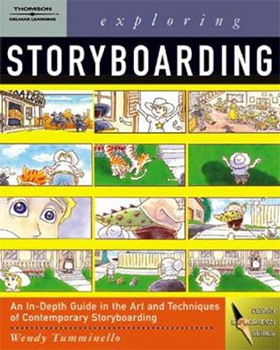 But it’s also a powerful book for anyone interested in storyboarding because many of these concepts carry over into moving pictures. Artist Giuseppe Cristiano has worked in the industry in various roles that include storyboarding and directing. These two skillsets overlap greatly and he took his knowledge into print with his book The Storyboard Artist: A Guide to Freelancing in Film, TV, and Advertising. In 210 pages you’ll go from a complete novice to someone fairly adept at storyboarding. You’ll learn the entire process start to finish including how to plan boards, how to sketch quick sequences and later render them in great detail, and how to revise errors. 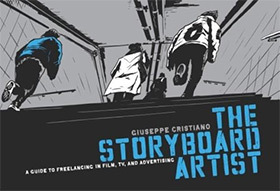 Giuseppe comes at this topic from a complete beginner’s perspective so this is a great book for anyone with zero knowledge of the storyboarding industry. Each chapter introduces new concepts and workflows for the professional storyboard artist. You also get plenty of illustrations courtesy of Giuseppe that showcase the different styles of boards from movies to animated shows and commercials. 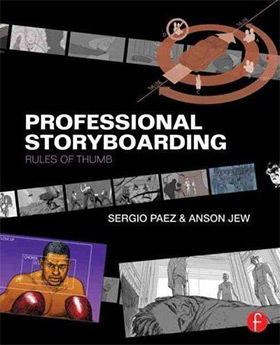 An incredible book for newbies who want to dip their toe into the world of pro storyboarding. Drawing realistic storyboards naturally involves specific shots and directorial views. But it also involves characters that look believable in their expression and pose. 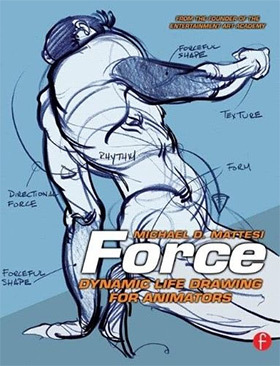 Force: Dynamic Life Drawing for Animators is the absolute best book you can get to practice exaggerated(yet realistic) poses. Storyboarding requires a more exaggerated style to show off what each person is doing in the scene. By drawing from life you’ll notice little details like weight, flexibility and mood buried within each pose. This book forces you to consider how humans move and how force translates through each pose you draw. Even if you don’t want to get into animation I would still recommend this book for sequential art like comics. It’ll help you exaggerate your poes enough to look realistic yet still clearly showcase the emotion or behavior of a certain character. Here’s another book by Giuseppe Cristiano again targeted at beginners. However this book covers more of the technical fundamentals of storyboarding to help you get started on the right path to build professional work. Storyboard Design Course: Principles, Practice, and Techniques starts with the very basics explaining how storyboards work and why you use them. From there you’ll learn about the fundamental skills you need to learn before practicing storyboards and how these apply to all your future art work. The book seems targeted at anyone that may get into boarding, so it covers artists but also directors and screenwriters too. Later chapters get into composition, staging, lighting, and camera angles that help to sell a scene. This book really is a storyboarding course unto itself and it’s well worth the price tag. Beginners can learn pretty much everything they need to get starting by following the advice in this book. The final chapters even share advice for portfolio design and applying for work in the industry. Excellent book for anyone into storyboarding as a professional career. It’s not easy landing a professional job in the industry. You often need to know people and have the talent to back up your connections. Sadly no book can help you with the first part but Professional Storyboarding: Rules of Thumb can help you with the second part. This book hits close to 300 pages long and it’s like the storyboard artist’s survival guide. Early chapters introduce basic tips with sample illustrations to help you understand proper storyboarding etiquette. This is crucial for young artists who have no experience in the industry because your portfolio needs to look as professional as possible. You’ll learn about basic camera positions, camera movements, and how to board complicated scenes like fight sequences or car chases. 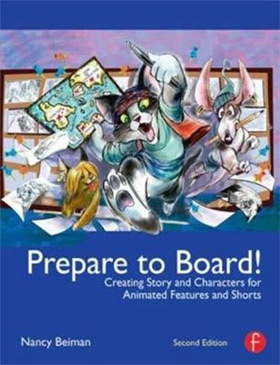 The latter half of the book compiles interviews and tips from professional storyboard artists. This section is the most important for artists who have the skills but want to find ways to break into the industry. In this regard I would highly recommend Professional Storyboarding for anyone who wants to make this a career whether in animation or otherwise. The best way to build a portfolio is to practice and create your own projects. But once you have the fundamental skills down where do you go from there? Prepare to Board! 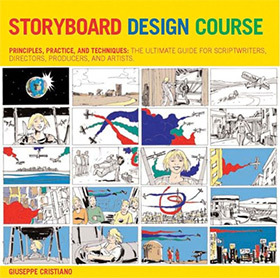 is a lengthy yet helpful book for anyone looking to create their own storyboards from scratch. It’s 360 pages long with tons of helpful tips and illustrations related to storyboarding and character design. If you work on a movie or TV show you’ll often be given references to draw from. But if you create your own characters for a portfolio piece you’ll need to invent everything from scratch. This book teaches you how to do this in a professional way that’ll catch the eye of art directors and producers. You still get plenty of information on the cinematography of storyboarding with camera angles, character poses, and relevant compositions. But if you need to go even deeper into professional storyboarding this book will get you there. 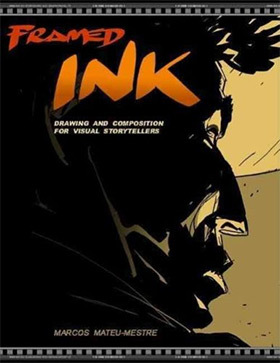 This book is a must-buy if you’re already confident in your artistic ability and just need to get your storyboarding skills up to a professional level. If you need a resource covering the art of storytelling and the business of storyboarding then this is your book. Exploring Storyboarding by Wendy Tumminello is surprisingly thick at 280+ pages and it covers a lot of cinematographic topics. Storyboard artists are really directors, artists, and sometimes writers. This trifecta does not come easy and you need to put in the work to improve. But with Wendy’s book you’ll learn all the fundamentals of camera panning, jump cuts, and more technical features often relegated to the world of film directing. Wendy does not get into technical details regarding how to storyboard so this really isn’t the best intro to someone who wants to put pencil to paper and move quick. But this will teach you how storyboarding works, why you’re doing it, and offer valuable insight into the entire creative process. This book pairs nicely with a more practical hands-on book like Storyboard Design Course taking this book’s theory and combining it with practical exercises. Everything in film and TV is motion whether animated or live action. storyboards are 2D representations of motion squeezed into squares representing a screen. When you understand how this merges with the production process you’ll have a much easier time crafting storyboards that feel “alive” and ready for production. This is what you’ll learn from Storyboarding: Turning Script to Motion as it teaches you how to build storyboards from typed scripts and bring life to the characters. This book comes with 350 pages and a DVD with practice materials to get you up to speed with professional board work. I would highly recommend this book to anyone whether a novice or professional at storyboarding. There’s always more to learn and this book forces you to consider storyboard work from the perspective of a filmmaker and writer. I’ll admit this is a dense book. However I think it’s worth the effort reading all the way through and what you get from these exercises can take you from a novice to a professional ready for studio work. Industry veteran Bruce Block has over 30 years of writing and directing experience in Hollywood. He wrote The Visual Story as a structured guide to anyone working in the entertainment industry whether live action or animation. Bruce frequently speaks at major conferences and holds seminars for people aspiring to break into the entertainment industry. But if you can’t get into one of his seminars then this book is the next best thing. It’s just over 300 pages long with tips for mastering line, tone, movement, and camera directions in your board work. Absolute beginners who need a place to start should really consider this book. However I find that the materials also work great for intermediate-level board artists who already have some knowledge but want to expand their repertoire. 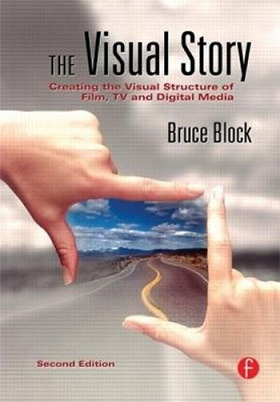 Plus when it comes to credibility Bruce Block is an author you can trust in the world of storyboarding and TV/film directing. I briefly mentioned cinematography throughout this post and I think it’s one of the most important topics for board artists to understand. There’s no simple way to “get” these concepts without study and repetition. 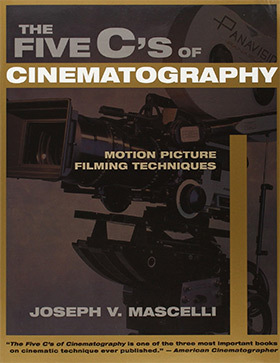 Thankfully The Five C’s of Cinematography introduces every major concept in detail guiding you along the way with real examples. This is definitely a filmmaker’s book and it mostly targets people who want to record live action. However the contents are easy to replicate and apply to storyboarding if you know how to look at it the right way. Cinematography applies to all visual mediums whether films or TV series. Animation is not left by the wayside. But it can be forgotten since animators do not have physical cameras that move to change the shot style. Instead it’s up to the animator to draw a scene the way it should be viewed. If you have no idea what this means or where to get started then definitely consider grabbing a copy of this book. It may be confusing at first but by the end you’ll have a newfound confidence in your knowledge of cinematography. Storyboard artists working in animation need to draw characters and poses that work, that’s a given. But artists often forget that storyboarding is also about context. The backgrounds and scenery are just as important because they set each shot and help tell the story. 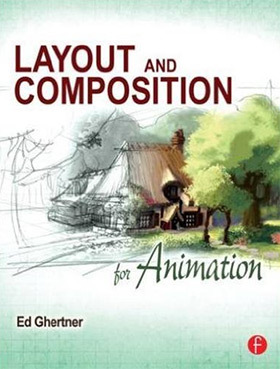 The best book to improve your environment work is Layout and Composition for Animation. It’s aimed more at background painters but it covers incredible techniques for crafting believable compositions that sit well on the screen. As a board artist you need to envision how the world looks and where the characters are positioned. This means you’ll be drawing close-ups, over the shoulder shots, and birds eye views from above. Each of these panels needs a different background style and composition to go with it. I would mark this book as a must-own item for anyone struggling with their backgrounds. It may not be useful for complete beginners who need to start with storyboarding fundamentals. But once you work past that stage you’ll undoubtedly want to improve your board’s overall composition. This book is the bible of animated composition so it’ll take your skills exactly where they need to go. Storyboarding for animation requires knowledge of drawing but also knowledge of animation. You should understand how animation works and what makes great animation come to life on the screen. 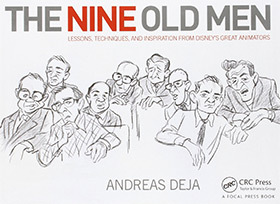 One of the best books on this topic is The Nine Old Men written by Andreas Deja. It’s a fairly new book and it delves into the lives & work of Disney’s most well-known animators who came up with the 12 principles of animation. Andreas was an apprentice to these men and he learned a lot working under them. He writes about each one individually and shares their techniques for crafting masterful animations that brought drawings to life on the screen. You’ll learn about character animation and realistic drawing but also techniques for storytelling and framing each scene. This really is a powerful guide to animation and storyboarding with advice passed down from some of the most renowned animators in history. With so many books in this post it can be tough to choose just one. Each book targets a specific audience and aims to help you at different stages of your storyboarding career. However before picking up any of these books I’d recommend learning to draw first. You need to be comfortable making marks on the page and following a style if you ever hope to create believable storyboards. 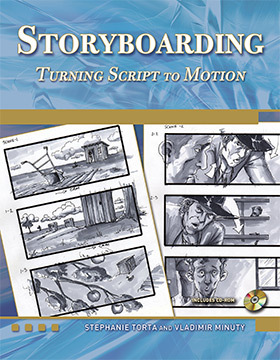 Once you’re ready to start practicing real storyboarding these books offer a treasure trove of tips on composition, cinematography, character design, writing, and the technical aspects of storyboarding for Hollywood productions. No matter where you are on the learning curve I guarantee one of these books can help you get further into professional storyboarding.